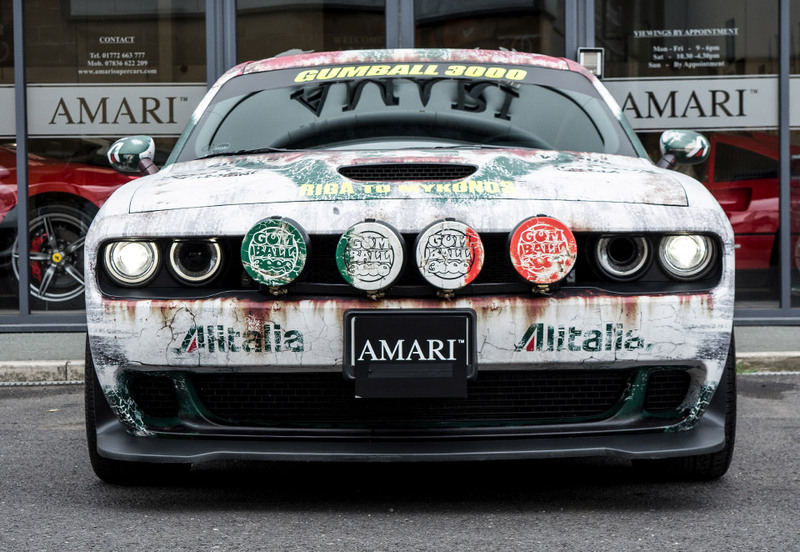 The Lancia Stratos is one of those classic cars that many gearheads would love to have in their collection. But it’s not exactly the easiest or cheapest car to come by, never mind the fact that ’70s and ’80s Italian sportscars aren’t exactly known for their reliability. The Stratos turned in a number of impressive performances in Group 4 rallies, followed by its Group B successors, the Rally 037, and the Delta S4. 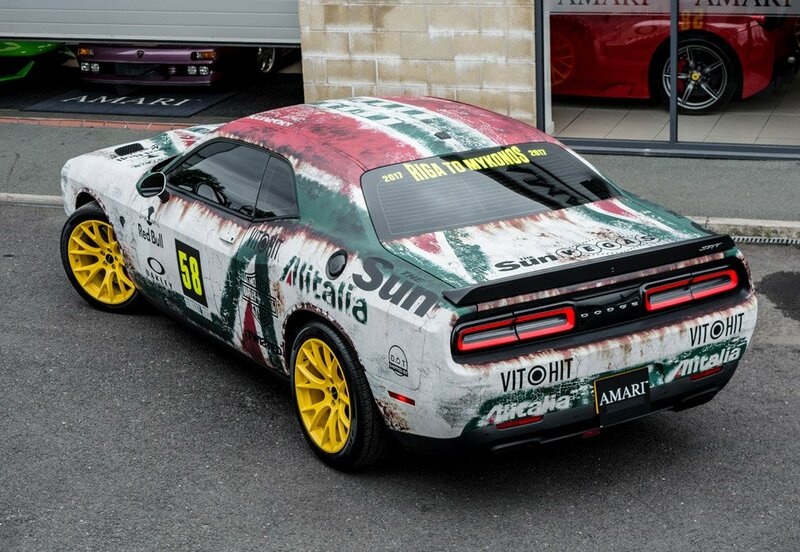 Despite its better than expected handling, I’m not sure that a Dodge Challenger SRT Hellcat could handle itself on a WRC rally course with the agility of a classic Lancia, but that didn’t stop somebody from tricking out their Hellcat in Lancia garb anyhow. If the livery looks familiar, that’s because it’s based on the classic 1976-1978 Alitalia white, green, and red outfit worn by the Stratos HF. 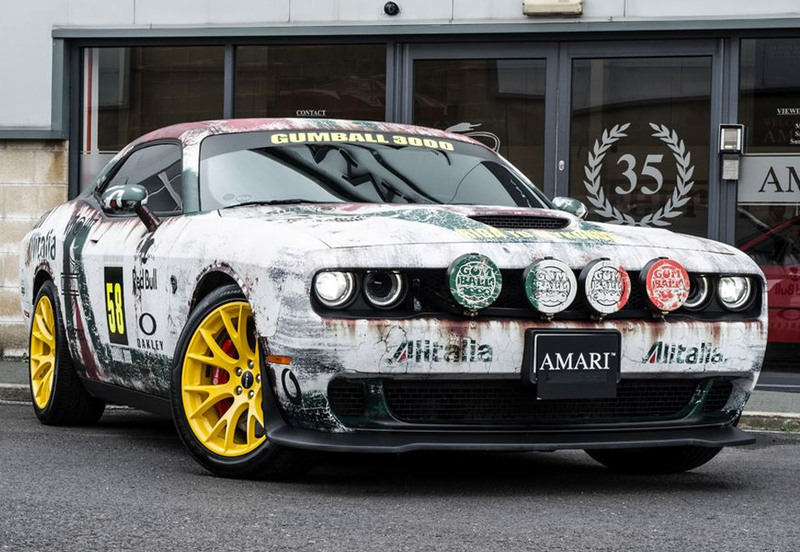 This particular Hellcat took part in the 2017 Gumball 3000 Rally, and is now up for sale from UK classic car seller Amari. 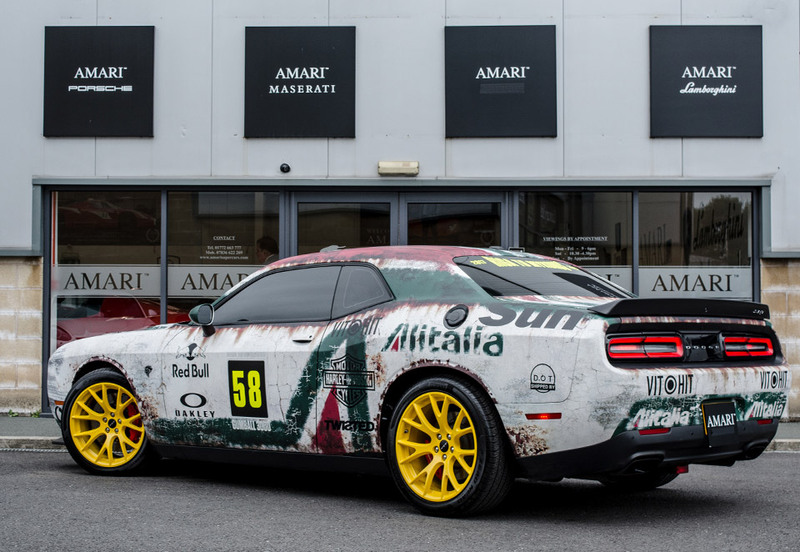 The asking price for the car is £59,995 (or about $77,777 USD), which is a slight premium over a brand new Hellcat, though this one has that awesome Lancia wrap, quad fog lamps up front, and bright yellow wheels to finish things off.